Wondering which fruits and vegetables have the most pesticide residues? 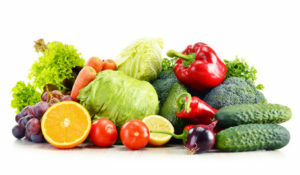 The annual Dirty Dozen List of produce with the most pesticide residues has once again been published by the Environmental Working Group (EWG). They suggest that these fruits and vegetables are good candidates for buying organic. Just when you thought it couldn't get any harder to eat healthy. Turns out those nutrient packed foods we're all told to eat—such as strawberries and spinach— are also consistently tainted with potentially harmful pesticides. Both foods top the "Dirty Dozen" list released today by the Environmental Working Group (EWG), which analyzed federal data on pesticides in produce. EWG, which examined tests done over the past few years by the U.S. Department of Agriculture, reports almost 70 percent of the produce sampled by the feds had pesticide residues. Some were worse than others: "More than 98 percent of samples of strawberries, spinach, peaches, nectarines, cherries and apples tested positive for residue of at least one pesticide," according to the report. ...continue reading "Fruits, Vegetables, and Pesticide Residues"
Why just stick to eating fruits and veggies when you can get an extra boost from supplements that put good things like antioxidants into a handy pill? And that seems like it should be a good idea. If the antioxidants that occur naturally in our food, like broccoli and carrots, are good for us, a supplement with the same thing must also be good. But that's not quite true. Antioxidants are touted as protectors of our health because they eliminate free-radicals that damage molecules in cells and tissues by grabbing electrons from them, making those molecules, in turn, unstable....On this basis, a group of scientists proposed in 1981 the creation of a nutritional supplement to fight free-radicals. They reasoned that since many observational epidemiological studies had shown that people who eat lots of vegetables are at lower risk of colon cancer, heart disease and many other bad conditions, then the "active" ingredient should be identified and put into a pill. They thought that it must be beta-carotene, which helps make carrots orange, because it's an antioxidant. But in the late 1980s, two intervention trials, one in Seattle and the other in Finland, started....For the Seattle trial, approximately 18,000 men and women were randomized in 1988 to receive either a tablet containing beta-carotene or a tablet containing no active ingredient, which is the famous placebo. The plan was to follow the men and women for 10 years; the researchers hypothesized they would observe a lower lung cancer risk in the beta-carotene tablet group, hopefully much lower. But the opposite happened and the trial had to be stopped early because the beta-carotene group suffered significantly more cases of lung cancer than the placebo group. The same thing was seen in the Finland trial. Importantly, the amount of beta-carotene in the tablet was much higher than occurs naturally in the body in both trials. ...continue reading "Forget the Pills, Eat the Vegetables Instead"
This year, nearly two million American adults and more than 5,000 children and adolescents will learn they have a potentially devastating, life-shortening, yet largely preventable disease: Type 2 diabetes. They will join 29.1 million Americans who already have diabetes. Diabetes and its complications are responsible for nearly 200,000 deaths a year; the fatality rate among affected adults is 50 percent higher than among similar people without diabetes. Alarmingly, recent studies even have linked diabetes to an increased risk of dementia and Alzheimer's disease. Even people with above-average blood glucose levels, but not diabetes, have an elevated risk. The Diabetes Prevention Program study, conducted among about 3,800 people who had pre-diabetes, found that moderate weight loss — an average of 12 pounds — reduced the odds of progression to diabetes by nearly 50 percent. Carbohydrates - breads, grains, cereals, sugary drinks and sweets of all kinds — are most problematic for people with diabetes or at risk of developing it. Carbohydrates are eventually metabolized to glucose, which raises the body’s demand for insulin. Consume less of them in general, and choose whole-grain versions whenever possible. If you must have sweet drinks, select artificially sweetened ones. In two huge studies of nurses and other health professionals who were followed for 22 years, those who drank one or more sugary soft drinks a day had about a 30 percent higher risk of developing diabetes than those who rarely drank them, even after their weight was taken into account. But there’s good news about coffee. Two or three cups of coffee (but not tea) a day, with or without caffeine, have been consistently linked to a lower risk of Type 2 diabetes. For protein, limit consumption of red meat, especially processed meats like sausages, hot dogs and luncheon meats, which are linked to a higher diabetes risk. Instead, choose fish, lean poultry (skinless and not fried), beans and nuts. Low-fat dairy products, including yogurt, and even fatty ones may lower the risk of diabetes; the reason is unclear. Most protective are green, leafy vegetables — spinach, chard, kale, collards, mustard greens and even lettuce — as well as cruciferous vegetables like cabbage, broccoli and cauliflower. But all vegetables are good and should fill at least two-thirds of your dinner plate. The nutrients magnesium and vitamin D are also potentially protective. In fact, the preventive value of leafy greens, whole grains, beans and nuts may lie in their high magnesium content. In a well-designed clinical trial of 32 overweight people with insulin resistance, the prelude to diabetes, blood glucose levels and insulin sensitivity improved in those who took a daily magnesium supplement for six months. Don’t go overboard: More than 350 milligrams of magnesium daily can cause diarrhea. Vitamin D, long known to be crucial to healthy bones, may also be helpful. In one study of 92 overweight or obese adults with prediabetes, those who took a supplement of 2,000 international units of vitamin D daily had better function of the pancreatic cells that produce insulin..
Of course, how much you weigh and what you eat are not the only concerns. Regular, preferably daily, physical exercise is a vital component of any prevention and treatment program for Type 2 diabetes, or most any chronic ailment. Weight loss can reduce diabetes risk by about 50 percent, but adding exercise to that can lower the odds by 70 percent, compared with people who remain overweight and inactive, according to a study that followed nearly 85,000 female nurses for 16 years. Women who were active for seven or more hours weekly had half the risk of developing diabetes as did women who exercised only a half-hour a week. © Lacto Bacto. 2013-2019. All Rights Reserved.